The paper introduces the procedures and theory associated with Brainwave Optimization and explains why it may have a role for helping people with a variety of conditions related not only to the nervous system but also the physical body as a whole. Brain State Technologies LLC, Scottsdale, Arizona, is pleased to announce a significant new development in its research program on Brainwave Optimization™, known technically as High-resolution, relational, resonance-based electroencephalic mirroring, or HIRREM™. Together with their research collaborators at Wake Forest Baptist Medical Center, led by Charles D. Tegeler, M.D., professor in the Department of Neurology, Brain State Technologies has published a "methodology" paper in the peer reviewed scientific journal Brain and Behavior, “HIRREM: a non-invasive, allostatic technology for relaxation and auto-calibration of neural oscillations,” online January 14, 2013. Brainwave Optimization (HIRREM) is designed to facilitate relaxation and auto-calibration of neural oscillations. Auto-calibration of neural oscillations refers to the brain itself adjusting its own patterns of rhythmic functioning, toward more optimal patterns. A variety of health challenges have been shown to be associated with suboptimal patterns of rhythmic functioning, including insomnia, depression, post-traumatic stress disorder, traumatic brain injury, and others. By helping the brain to optimize its own rhythms, Brainwave Optimization may have a role for individuals facing these challenges. In its essence, Brainwave Optimization is aligned with an advanced theoretical model of physiological regulation, referred to as allostasis, meaning "stability through change.” Allostasis is based on a model of biology that sees change itself as the only constant. Biological systems must calibrate their functional setpoints to meet and anticipate constantly changing demands, rather than fixate on constant standards of output. The allostasis model highlights that the key role of the brain is to allocate energetic resources among different organ systems, to optimize fitness for the individual as a whole. When functioning well, the brain will anticipate needs and adjust operations to optimize fitness for life. It is important above all that the brain not become “stuck” at any given state of functioning. In the allostasis model, brain functioning can become “stuck” due to chronic stress or trauma. According to Brain State Technologies Chief Executive Officer, Lee Gerdes, to his knowledge the new paper is the first in any literature to describe methodology for a precision-guided intervention for allostatic therapeutics. As such, Brainwave Optimization is a way to help the brain to optimize its own functioning, by using detailed and continuously updated information about its own functioning, so that the brain can help itself become “unstuck.” Thus, Brainwave Optimization is different from earlier-generation EEG feedback technologies which aim to train the person to consciously control their brain function. It is also different from pharmacological approaches that can limit the system’s dynamic range, can be undermined by the brain’s compensatory mechanisms, and may be associated with side effects. The allostasis model predicts that optimization of brain functioning will support optimization of functioning for all organ systems, and thus Brainwave Optimization may have roles for a variety of health challenges. For example, blood pressure is directly mediated by factors related to the heart, blood vessels, and blood volume, but ultimately all these are guided by brain activity. Brain State Technologies continues to collaborate with Wake Forest Baptist Medical Center and other partners to continue conducting research on potential roles of Brainwave Optimization for numerous purposes. More peer-reviewed papers are planned for publication in 2013 and beyond. 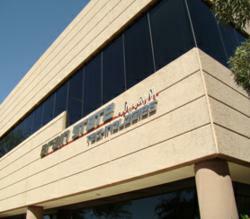 About Brain State Technologies (http://www.brainstatetech.com): Brain State Technologies® is the world’s leading provider of brainwave balancing technology, Brainwave Optimization™. Founded in 2001 and developed by Lee Gerdes, the modality combines the latest advances in neuroscience, neuroplasticity, computer technology, mathematics, and physics. Brainwave Optimization™ offers a non-invasive way for people of all ages to overcome cognitive, emotional, and physical challenges, and enhance overall performance and wellbeing. With over 50,000 clients and more than 200 affiliated centers in 18 countries, the company is growing by licensing Brainwave Optimization™ to providers worldwide. Brainwave Optimization with RTB™ is not intended to treat, cure, heal or diagnose any disease, mental illness or symptom. Brainwave Optimization with RTB™ is intended to facilitate relaxation and auto-calibration for neural oscillations. Individual results may vary.